Queen Elizabeth Prize to bring in comms help to get public interested in engineering. A flagship £1m Government-backed engineering award is poised to appoint agency support in an effort to turn around the UK's flagging interest in engineering. Funded by an endowment from companies such as BAE Systems and BP, the Queen Elizabeth Prize for Engineering will be awarded biannually to engineers, with the aim of promoting the profession. The £1m prize attracted wide media interest when it gained the backing of all three party leaders at its launch last November. PRWeek has learned that Edelman is poised to scoop the brief, alongside brand and web specialist Landor Associates. Tony Blair's former aide Anji Hunter, the prize foundation's director, last week held talks with a number of full-service agencies to discuss the work. She told PRWeek that the brief calls on consultancies to 'excite people about engineering'. The brief includes promoting the importance of UK engineering to consumers, corporates, academics and schools. It also includes brand design and website development. All three party leaders attended the award's launch event. 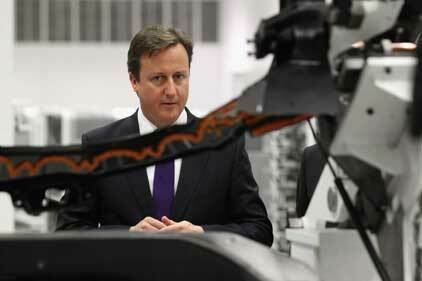 The Government has identified engineering skills as a key driver of economic growth. The foundation, a charitable trust, is chaired by former BP chief executive Lord Browne. The £1m prize will be awarded to individuals or teams of any nationality, directly responsible for 'advancing the positive application of engineering knowledge'. The day-to-day running of the prize is managed by the Royal Academy of Engineering, and an international judging panel is expected to be appointed next month.